EDITOR'S NOTE: This story was originally published in November 2014. 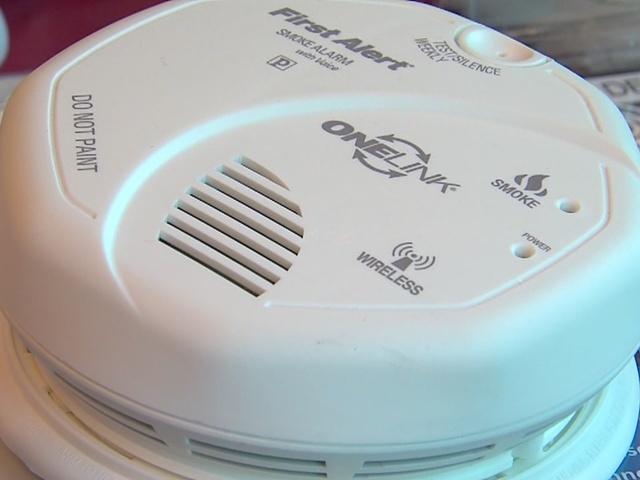 NewsChannel5 Investigators checked with the 10 largest fire departments in Northeast Ohio to find out what type of smoke detectors they provide citizens after Chief Investigator Ron Regan uncovers one type of detector is safer. Regan’s investigation uncovered numerous studies that show photoelectric smoke detectors are safer than ionization models. Ionization models are currently in 90 percent of homes. NewsChannel5 Investigators found Cleveland, Cleveland Heights, Cuyahoga Falls, Euclid and Mentor give out dual sensor detectors, which contain both technologies. The Akron Fire Department gives needy citizens one of each type of detector. Elyria and Lorain do not have free smoke detector programs. Lakewood fire officials said they give out free detectors once a year and were unsure which type of detector they used. Parma Public Information Officer Doug Turner said his department gives photoelectric detectors to needy citizens. “The alarm should go off quicker on a smoldering fire, which is typically what’s in a house,” he said. The State Fire Marshal’s spokesperson told newnet5.com they supply photoelectric detectors to areas with high fire fatality rates. However, they suggest homeowners buy both types of detectors for their homes. NewsChannel5 Investigators also found there are not rules or regulations related which type of smoke detector fire departments give to citizens. A source told us many smaller, cash-strapped departments may continue to give out ionization detectors because they cost less money. John Desmarteau, the president of the North Eastern Ohio Fire Prevention Association, said he used to believe ionization alarms were enough to keep people safe, until he learned about issues with detecting smoke. “We didn't realize the shortcomings of the ionization technology,” he said. David Isaacs helped write Australian smoke alarm standards. He told Chief Investigator Ron Regan that, without a doubt, photoelectric alarms recognize smoke before an ionization alarm. “The ionization detector will typically activate too late in the fire process to allow someone to escape,” said Isaacs.